Malaysia’s been hit with a wave of e-wallets this year, and local player Grab recently joined the market with their own e-wallet, aptly called the GrabPay wallet. GrabPay’s not exactly a new name to many Malaysians. You’ve probably used it if you’ve ever paid for a Grab ride with your credit or debit card as you’d have to select the GrabPay option in the app. But even though they share the same name, the new GrabPay wallet isn’t just that. One advantage GrabPay has over its competitors is that there’s no need for you to download any separate app to make use of its feature. Chances are you already have the Grab app on your phone, which automatically means you have the e-wallet on hand (just ensure your Grab app is updated). Once you’ve done so, you can start paying for your Grab rides, GrabFood orders and purchasing in-store items. We talked about how to register for this feature previously but to reiterate, it’s quite a simple process. 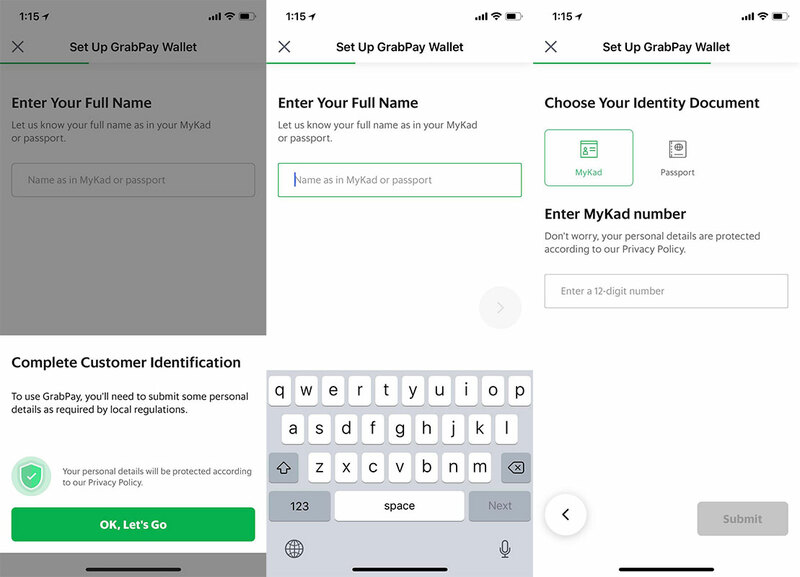 Enter your personal details and MyKad or passport number in order to be able to pay for the various Grab services and make purchases at Grab’s partner businesses. Reload it before using the app to pay for your purchases. You can choose to top up using your credit or debit card, via online banking or using cash at 7-Eleven (MOLPay CASH). FYI, if your card is already tied to your Grab account, you can just top up your e-wallet instantly without needing to key in your card details again, once you’ve finished the verification process. . Currently, the wallet can hold up to RM500 but if you through all the necessary verification procedures, it can hold up to RM1,500. If you’re worried on whether the wallet is secure or you suspect someone has gained unauthorised access to your app, you can set up a Grab PIN which helps save your card details when you login to a new device or re-login to your Grab app. You may be asked to enter your PIN if the system detects any suspicious activity. Using the GrabPay wallet lets you earn GrabRewards points each time you use it. Similar to how it works with Grab rides, these points can add up to upgrade your status and to be redeemed for various rewards in the app. These points work across the Grab regions, so if you happen to be in Singapore or Indonesia, you can use your points to redeem rewards there. Do keep in mind that you’ll need to top up that country’s currency in your GrabPay wallet before you’re able to make purchases there. Paying for GrabCar and GrabFood. It’s a no brainer that Grab has primed the GrabPay wallet to be the easiest way to pay for their other offerings. Aside from paying for your Grab rides, you can also pay for food to be delivered to your doorstep. This gives Grab the advantage of offering a wholly integrated solution to their users that other mobile wallets on the market can’t do. 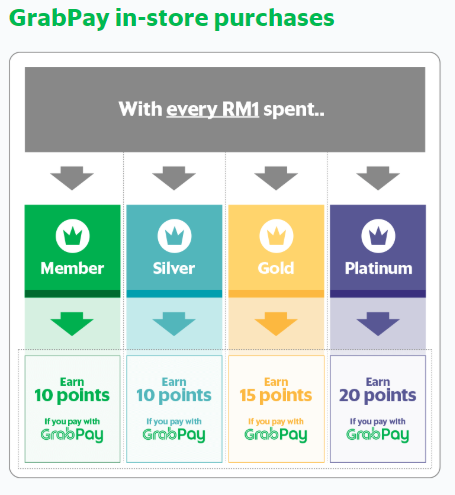 To further entice you, they’ve added an incentive of earning extra GrabRewards points if users pay for their Grab rides using GrabPay. Paying for food and shopping. GrabPay is accepted at more than 800 participating merchants in 8 major cities around Malaysia. They often have specials deals or rewards which you can keep an eye out for here (e.g. bubble tea for RM3, or ice cream from Inside Scoop for RM3). Some of their key brands include franchises like Tealive, KGB Burgers, TeoChew Chendul, and even small eateries like Devi’s Corner in Bangsar, Burps & Giggles in Ipoh, and Kopi Ping in Kota Kinabalu. In the future, they’re looking to roll out into shops that may not typically accept digital payments, like your regular gerais and hawker stalls. Besides food, you can pay for all KLIA Express single and return trip tickets (for adults) using the app too. All users can use GrabPay to send money between each other, and it can be sent via a QR code or a mobile phone number. Pretty handy during those outings with friends and you want to split the bill, for example. 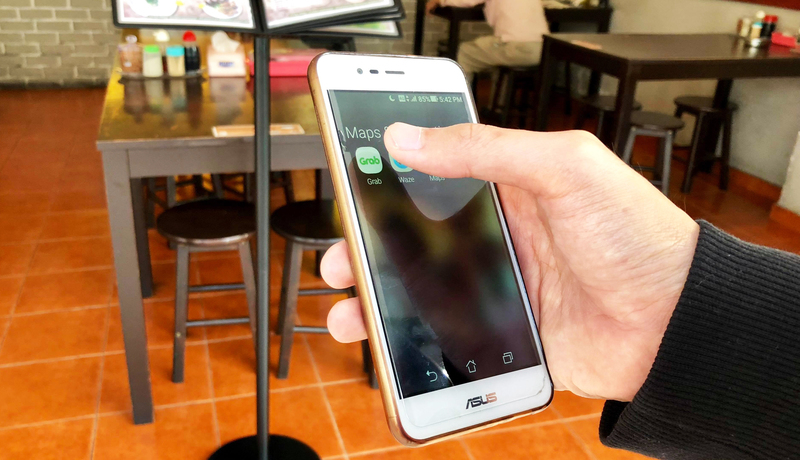 As Grab is partnering with Maybank, soon you’ll be able to use the app not just with GrabPay merchants, but also Maybank’s own QRPay merchants too. As GrabPay’s focusing on high-frequency merchants, they’ve already differentiated themselves from the market with their strong presence in the food and transport category. But with Bank Negara stating that 80% of all transactions are still done via cash, the main enemy here isn’t amongst other e-wallets but an uphill struggle to break through this stubborn habit of relying on cash. With the wallet already being integrated into the app, Grab has a good start as they have over 100 million downloads of the e-wallet in their phone without needing to download anything else. If they continue to execute things well, more users would be able to rely on this mobile wallet service and Grab may just achieve its vision of being the interconnected lifestyle platform—or as they have aptly put ‘Your Everyday App’. For more information on GrabPay itself, you can click here.